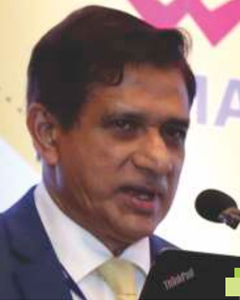 TMA was in the limelight in the past months with hectic and multifaceted management activities and hence this issue of eNews will be colourful with the details and photographs of the same. TRIMA was well appreciated by every body on the selection of theme, choosing of speakers, venue, ambience , entertainments, Hospitality and student participation . And Financially also we could anchor safe by the commited hard work of past presidents and various committee members under the dynamic leadership of our president and chairman. More over the unstinched back office and facilitation support by the administration is highly commendable. 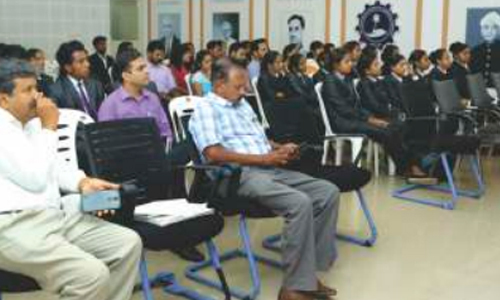 We had several management seminars and lecture talks, which are detailed in the news letter. We could make a mark on membership extension and development with extensive field work of meeting business entrepreneurs and heads of public enterprises for Corporate Membership. It's worth mentioning and we are proud that M/s RP Group leading non resident keralite business house joined as a corporate patron. Also it is remarkable that we have activated all our student chapters and added two MBAcolleges as student chapters. I am extremely happy that eNews is coming out as an effective tool to bridge the gap between general public and management and to be circulated to all our stake holders. I am looking forward for TMAto sphere head as a Management Leadership Organisation in Trivandrum. Management Association across the world are breeding points for management networking and knowledge sharing. It opens the platform to exchange business ideas, brainstorm on new venture creation and to bridge any gap that is existing in members business enterprises. We must evolve a strategy of membership development and extension through which constant growth and development is achieved. We have an excellent band of management wizards in TMA, who need to be exploited the benefits of members, public and management students. 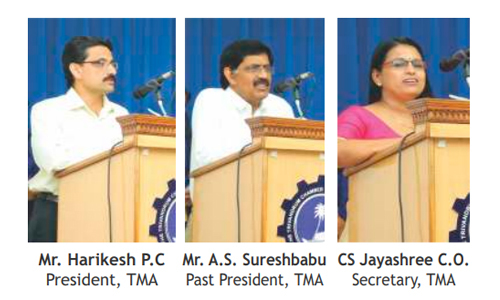 TMA has a unique advantage of being at the focal point of influence policy makers and there by developing innovate and sustainable growth for the people of Kerala. We have in the pipeline to strengthen management development activity by associating with ODEPC, NORKAand other professional bodies Looking forward for the continuous support and involvement of members. So that each project we will plan benefit each member in their personal and business growth. 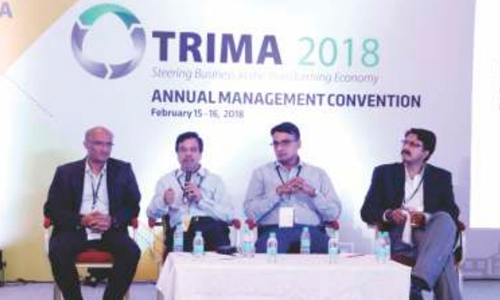 February 15 and 16,2018 witnessed the momentous flagship event of Trivandrum Management Association–the Annual Management Convention-TRIMA 2018 at Vivanta by Taj, Trivandrum. 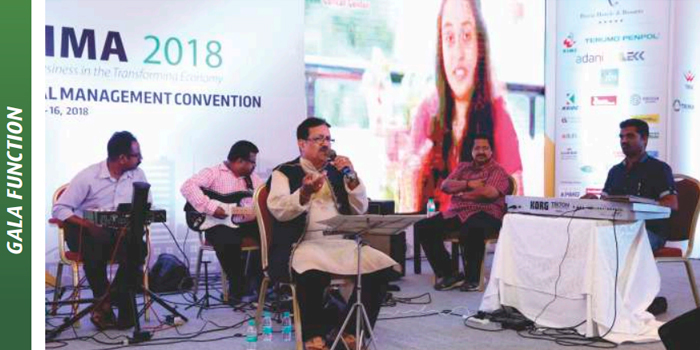 Steering business in the Transforming Economy was the theme for the convention. The event commenced with the Inauguration by the Honorable Governor of Kerala, Justice(Retd) Shri. 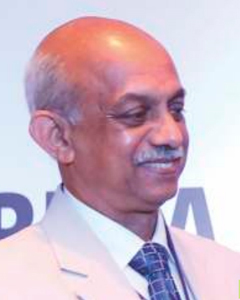 P Sathasivam. 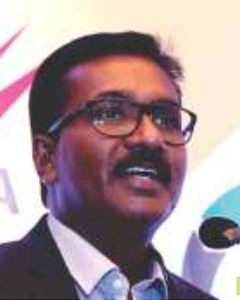 On the second day the convention concluded with the valedictory address by Shri M.G Rajamanickam IAS, Managing director of Kerala IT infrastructure limited. February 15th 2018, the first day of the convention started with the welcome speech by President, TMA. The president started his speech making a retrospect into history of TMA. He welcome the gathering and emphasized the theme of the year “Steering Business in the Transforming Economy” and how technological innovations become disruptive force. He also pointed out that transition in the economy happens in the world of innovation by integrating management with innovative ideas. After the president's speech the event was ceremoniously inaugurated with the lighting of the lamp by the chief guest Shri. Justice (Retd)P. Sathasivam, Honorable Governor of Kerala, along with the dignitaries on stage, members of TMA, guests, media and students. 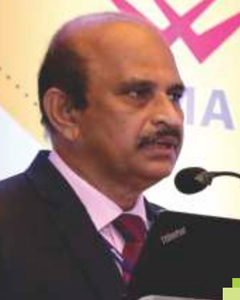 Shri.Prasad Unnikrishnan, Director, Infrastructure, Government and Healthcare, KPMG Advisory Services Private Limited, delivered the Theme Presentation on “Steering Business in the Transforming Economy”. Quoting the example of how the Vision of creating a “NEW Walmart” by Jack Ma, the co-founder and Executive chairman of ALIBABA Group who with just two servers and not owning anything like Walmart was the right example for visualizing change over the period of time “Business plans are dynamic and cannot focus on a static plan for longer and it takes time to become unicorns” he said . He presented the Changing Business Models in the Transforming Economy and mentioned that the business models are to be changed according to the requirement and customization should happen according to the needs of the customer. “The key considerations for a changing business model included the scenario based assessment, Epic center design, Unconventional design, customer centric design and mirror designs” he included. 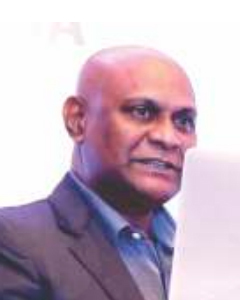 For this we have to embrace the power of digital, use Data the new weapon, and make use of the fact that this era has the Mobile first, and there is a demanding population, for which customer experience is paramount, this can be achieved by using embedded technologies, changing regulatory and cyberspace. He concluded with the words that to steer in the transforming economy it should Collaborate, Innovate and Automate. 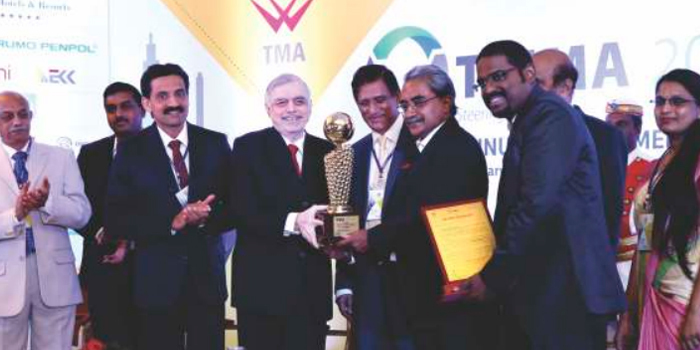 Mr. Sreesanth P Krishnan, Chairman TMA-CSR Award Committee declared the TMA –Terumo Penpol CSR award 2018 to Tata Consultancy Services (TCS) for the Corporate Social Responsibility initiatives that they performed under the umbrella TCS Maithri. Shri. 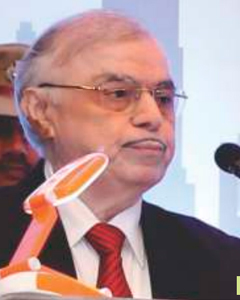 Justice(Retd) P. Sathasivam, Honorable, Governor of Kerala, delivered the inaugural address. He started by saying that it took seven decades of progress to change from a hunger driven nation to an emerging economy. There has been change in the economic indices like how India moved in position in Global Innovation Index. Make in India has become a Globally recognized brand. Technologies ignite innovative minds to improve businesshe added. Many do not adapt to the new trends thus skill training becomes a necessity. Modern knowledge is necessary not only for students and businessman but for everyone. He said that Professional organization like TMA should entrust in enhancing the knowledge in modern technology. India should use renewable energy by 2022 due to its huge social benefit in reducing carbon emissions. Qualitative improvement in agriculture, food processing, dairy etc. is also required. Food production and food processing also requires focus. Management organization should persuade in investing on research and development. Transition in the economy with the world of innovation and integrating management with innovative ideas. The Governor concluded that they should be well acquainted with Industrial policies as well. 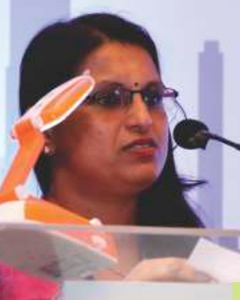 C S Jayashree C. O, Hon. 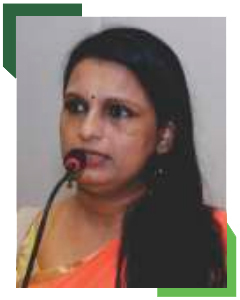 Secretary, TMA, shared vote of thanks .On a concluding note she said that there are various challenges facing in the new economic scenario and that new suggestions would be submitted to the Government of Kerala. The first Technical Session started at 10:00 AM and was chaired by Shri Gowridasan Nair, Editor in chief, Kerala The Hindu and the panelists were Shri Satheesh Chandran SunTec, Shri Nitin Nair GM, Uber and Shri Sijo Kuruvilla George, Founder CEO, Startup Village. 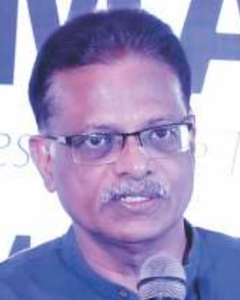 Shri Gowridasan Nair the session chair spoke of disruptive technologies and how in the early 2000s Malayala Manorama Newspaper came up with innovative idea of advertisement to attract readers. Promoting products through off-channel. He also spoke about how the pioneers in Artificial Intelligence, genomics and robotics see a rise in new opportunities with the introduction of Sophi the humanoid robot. He concluded that it is important to think on disruptive innovation to create revolution as well as pursue excellence to achieve growth in business. 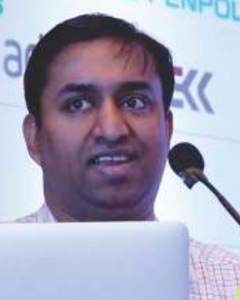 Shri Satheesh Chandran , SunTec spoke about how the world is transforming rapidly. He further said that disruptive innovations and technology affects the economic hub of a nation. 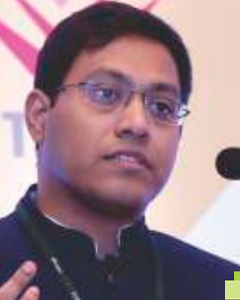 The four major disruptions are shift in economy, pace of technology, reduction in productive workforce andconnectivity hub. There are various solutions to handle disruptions, like embracing new logic, price to drive demand, profit from overlooked assets etc. He concluded that business models are changing to collaborative models where there is cooperation of partners in the business. 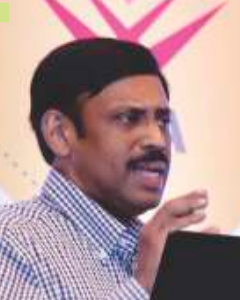 Shri Sijo Kuruvilla George said “econom i c s o f d o i n g business is better than marketing” he added that the Stress on perfect idea has changed, the marginal costs have crushed down and al it needs is exposure. An exposure to the global leaders by continuous reading of their articles can change the vision about trends and that ideas succeed with great delivery. 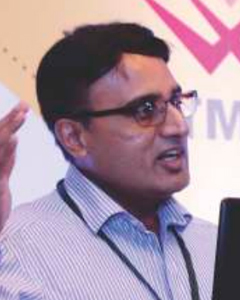 Shri Nitin Nair brought an insight into how Uber succeeded by their primary disruption, by removing middle men sending the closest car, GPS and better quality vehicles. He also spoke about their new ventures in building the future of transportation through pods, autonomous vehicles as taxis and Uber Air and also about Uber Eats connecting the restaurants and serving the customers in a faster medium. The second session started at 11.30am and the theme of the session was “Critical infrastructure development for business growth” . The session was chaired by Shri T. Balakrishnan, Principal Advisor, Inkel Ltd. and included panelists from various areas of expertise like Shri Rajaji Meshram, Director KPMG advisory services Pvt Ltd. Shri Rajesh Jha CEO Adani Vizhinjam Seaport Ltd. Dr. Balakrishnan Nair, Oscilla Power, USA and Shri Hrishikesh Nair, CEO, Technopark. 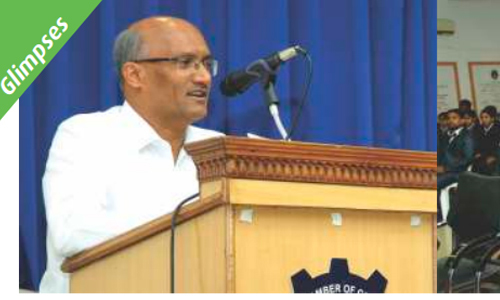 Shri Rajesh Jha spoke of how Vizhinjam port becomes a critical infrastructure. Ports become a gateway where logistics is an important factor. Speaking of the advantages of the port and the key milestones so far he concluded that the port can realize the national advantage of Kerala. 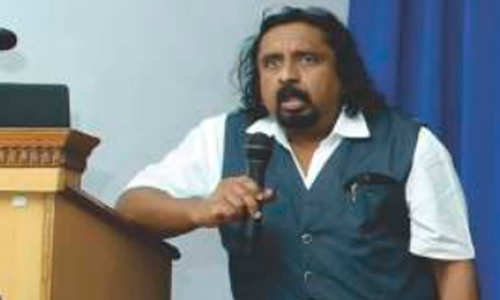 Dr. Balakrishnan Nair spoke about the opportunity that Ocean wave energy has and its various merits. Unlocking the potential of wave energy with a novel wave energy converter provides economic as well as manufacturing opportunities. As energy demands increase this project can be utilized to meet the needs and thus produce power which is cheap enough. Further he concluded that this would also setup desalination plants for providing cleaner water. Shri Hrishikesh Nair, in his impressive speech about the critical spheres include digital citizenship, digital lifestyle and digital commerce. 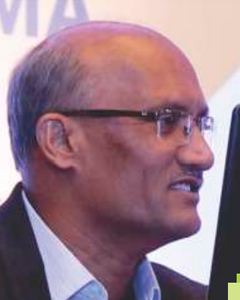 Further he at the competencies that Technopark has in terms of physical infrastructure. Challenge include the availability of land in Kerala. After technologies started enhancing there has been changes from “Business driving the system” to “System driving the business”. Currently the practice undergone is “Partnering for technological support”. He concluded with the vision of Trivandrum becoming the Centre for excellence for Cyber security and Block chain. The session started at 2.00pm and the theme was “Governance issues in the transparent economy” chaired by Dr. Biju Jacob, IA & AS, chief controller, VSSC with panelists including Shri. MG Arun, India today, Shri Sanjeev P Thomas VP EICL, Mr. Sathyakumar M, CEO & Founder Tycoon advisors, Shri Prasad Unnikrishnan, Director Infrastructure, Government and healthcare KPMG advisory services Pvt Ltd.
Dr. Biju Jacob IA & IS – With his tremendous experience on governance, currently holding a significant position at VSSC. Focussed on transparency, accountability, integrity work together to bring the best out of transparence governance . Public sector is always blamed being non transparent and unreachable to common public sustainable governance to reach the new levels of growth need to transparent. Shri. M.G. Arun – Demonetization trigged cashless economy but it gave a hard time for a common men for transacting daily needs. GST brought a formal economy concept, was a great move towards transparency. As a largest tax reform ever a country has witnessed. Shri. 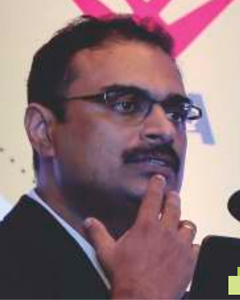 Sanjeev P. Thomas – Transparency innovation and organisational growth goes hand in hand. With his vast experience across the globe. He commended on the Indian thinking of living in the past glory. There should be a break through in expanding looking in global innovation with high level of transparency. Shri. 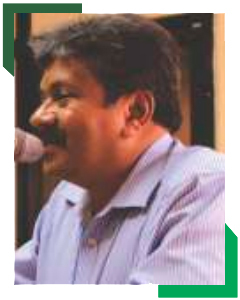 SathyaKumar. 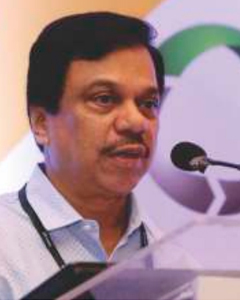 M – He commended on the performance of Modi government niti aayog, pragathi scheme proactive governance explained various transformational development in last few years digital india was a great innovation in technological infrastructure upbuilding initiative focus on rural India is a great transformation of egovernance. Then he explained the backgroung of Mudra Loan Scheme and how it is going to help the under privileged unorganised sector. The valedictory session started at 4.00pm and the session included welcome speech by Shri M R Subramanian, Sr. Vice President TMA. 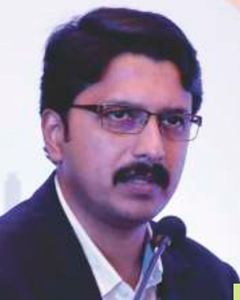 The inaugural address was delivered by Shri M.G Rajamanickam IAS, Managing director of Kerala IT infrastructure limited. He evaluated the structural deficiency of the governmental system especially in Kerala by focussing on the internal revenue by different sectors. NRI's remittance is what drive kerala economy. Manufacturing sector in Kerala is not flourishing. Our revenue expenditure is very high comparing revenue income. The innovation sector should be trigged by management sector and TMA have a major role to play. 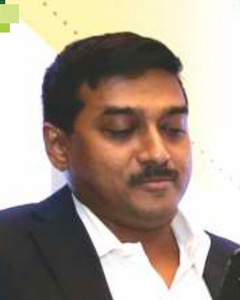 The session was finally summed up by Shri Suresh Mohan, Managing director Mohan & Mohan Associates. The session was concluded with the delivering TMA-KIMS paper presentation award 2018 to Mr Abhijith R and Ms Arsha Asokan of College of Engineering Trivandrum and honoring Dr. Faizal khan, pro vice chancellor, Noorul Islam University &MD, NIMS Medicity for the successful launch of NIUSAT Nano satellite, using the PSLV of ISRO. Pre- conference seminar for B-School Students in connection with TRIMA 2018 held on 15-02-2018 at Chamber hall, Kowdiar. TMA-Terumo Penpol CSR Award 2017 was presented by Sri. Justice(Retd) P. Sathasivam, Hon'ble Governor of Kerala to Tata Consultancy Services for their various commendable CSR initiatives and the award was received by Sri. 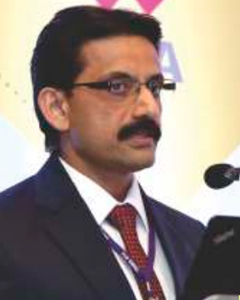 Dinesh P. Thampi, Vice President & Delivery Center Head –TCS Kerala & Sri. 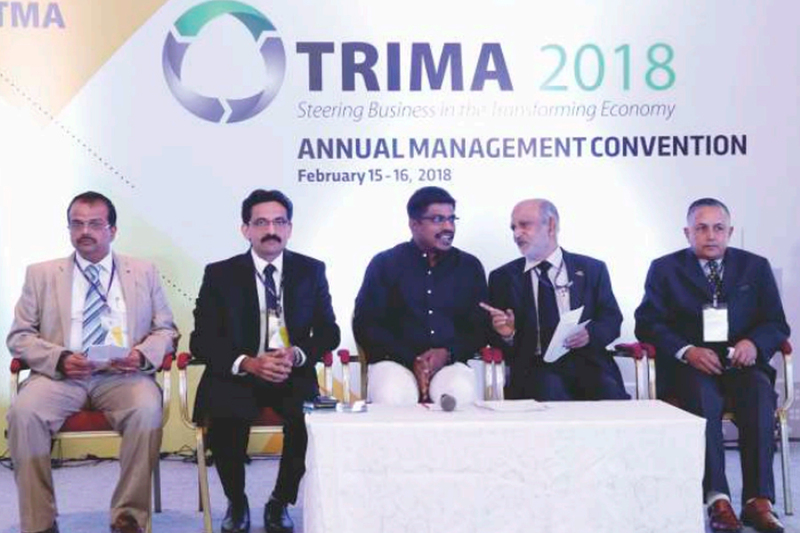 RobinTommy, Head –ILP Innovations Lab, TCS at the inaugural session of TRIMA2018 held on 15th February 2018 at Vivanta by TAJ, Trivandrum. 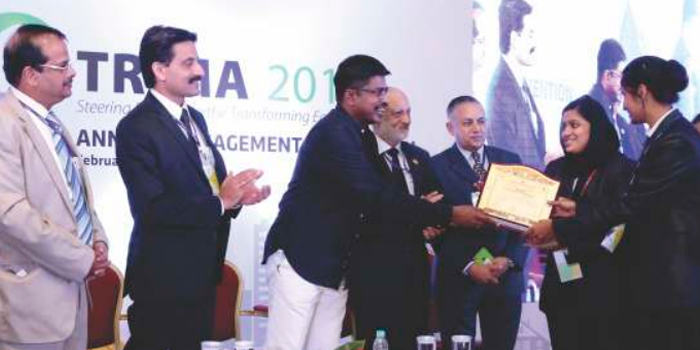 As part of TMA's management skill development initiatives for aspiring students, TMA had instituted Best Paper Presentation Award in association with KIMS Healthcare Management since 2014. This year TMA-KIMS Best Paper Presentation Award 2017 was presented by Sri. M.G. Rajamanickam IAS, Managing Director, Kerala State IT Infrastructure Ltd. to Mr. Abhijith. R and Ms. Arsha Asokan of CET School of Management, Trivandrum, joint winners of TMA-KIMS Best Paper Presentation Award 2017, at the valedictory session of TRIMA2018 held on 16th February 2018 at Vivanta by TAJ, Trivandrum. 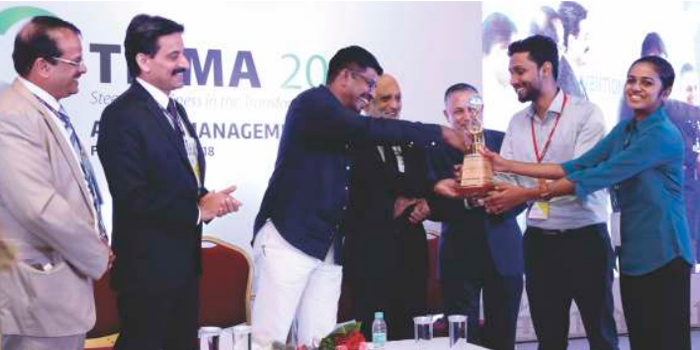 As part of TMA's management skill development initiatives for aspiring students, TMA had instituted Best Paper Presentation Award in association with KIMS Healthcare Management since 2014. This year TMA-KIMS Best Paper Presentation Award 2017 was presented by Sri. M.G. Rajamanickam IAS, Managing Director, Kerala State IT Infrastructure Ltd. to Ms. Fathima Farveen, Ms. Lakshmi R. Nair & Ms. Rugma B.Nair of Conspi Academi of Management Studies, Trivandrum, has been ranked second, joint winners of TMA-KIMS Best Paper Presentation Award 2017, at the valedictory session of TRIMA2018 held on 16th February 2018 at Vivanta by TAJ, Trivandrum. 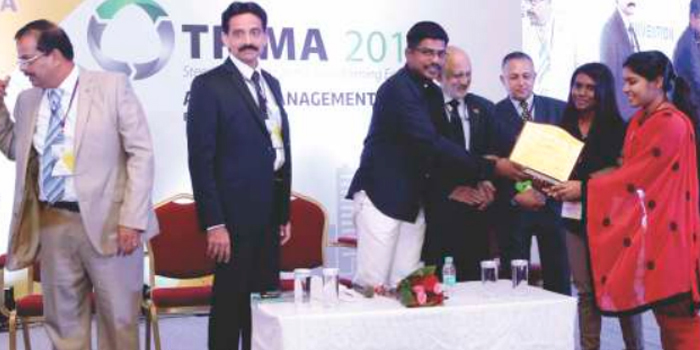 As part of TMA's management skill development initiatives for aspiring students, TMA had instituted Best Paper Presentation Award in association with KIMS Healthcare Management since 2014. This year TMA-KIMS Best Paper Presentation Award 2017 was presented by Sri. M.G. 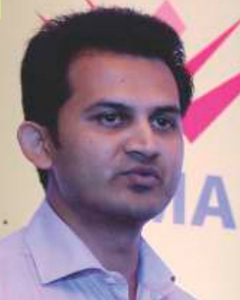 Rajamanickam IAS, Managing Director, Kerala State IT Infrastructure Ltd. to Ms. Jeena M. Joshy & Ms.Anju Vijay of CET School of Management, Trivandrum, has been ranked Third, joint winners of TMA-KIMS Best Paper Presentation Award 2017, at the valedictory session of TRIMA2018 held on 16th February 2018 at Vivanta by TAJ, Trivandrum.